I'm delighted to announce that, thanks to the generosity and goodwill of the lovely folks at Edsel Records (the Demon Music Group), we are now able to offer for download the four fine booklets produced to accompany Edsel's 2009 CD reissues of the 6 original albums. The Edsel CDs were quite the definitive collection of Pete's early albums, and meticulous care and attention to detail went into the creation of the accompanying booklets. Their 20 to 32 glossy pages were dense, not only with the song lyrics and lists of recording personnel, but with more background information, in words, scans and photographs, than had ever before been gathered into one place (with the possible exception of the Pete Atkin website!). Pete and Clive themselves contributed a tremendous amount of annotation to illustrate and explain the genesis of each song. As most here will recall, the entire print run of these CDs was lost in the riot-driven fire at the Sony distribution warehouse in Enfield on August 8th, 2011, with no prospect of a re-pressing. Once again those classic recordings had become unavailable. So with the publication this week of Ian Shircore's book Loose Canon, and our newly-implemented ability to stream all the songs on line, this seems a particularly auspicious moment to release these volumes. "The lyrics alone could be Nobel prize winners" -- Take that, Zim !!! Everything mentioned here can be found on our mighty Discography page. I was delighted when Steve posted the note about the Edsel booklets being made available and quickly downloaded them lest they disappeared in a puff of copyright. My greatest joy, however, was finding out from the detailed recording notes that BOTBS was recorded over the period including my 16th birthday. 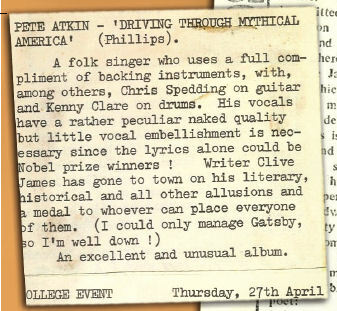 I spent some time trying to recollect what I did then, other than eat cake, and got a joyous frisson thinking that the songs were being recorded by Pete as a birthday present for me, but I had to wait a year or so to discover them. 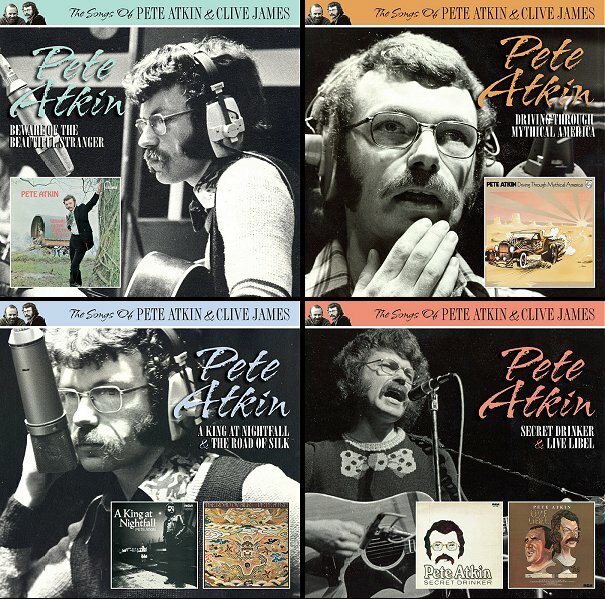 Silly, I know, but it reinforced what many of us have experienced: the pleasure of growing up with Pete & Clive's songs forming a backdrop to much of our lives. Pete explained to me, within this forum, why costs prohibited the inclusion of lyrics within the "Lakeside" albums. I don't suppose there is any chance of a rethink? By the way, which lake was it?